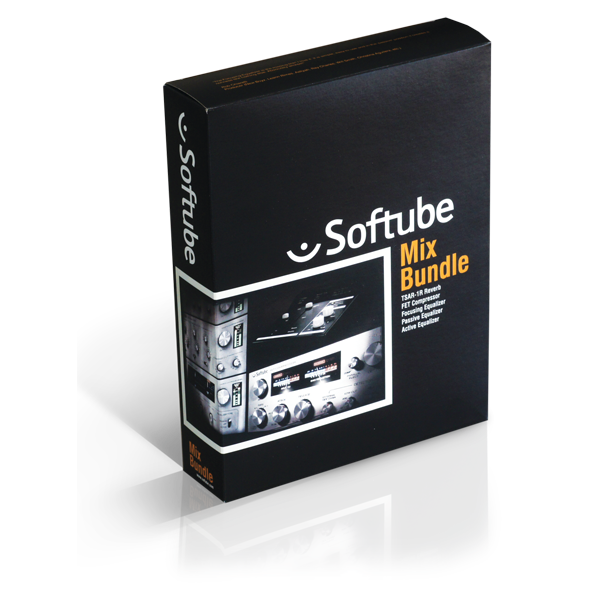 With the two Pultec-style equalizers you can shape the sound of a track, a bus or a mix within seconds. The highs sound smooth and gentle, the mid-range airy and focused, and the lows full and fat, almost at any setting. 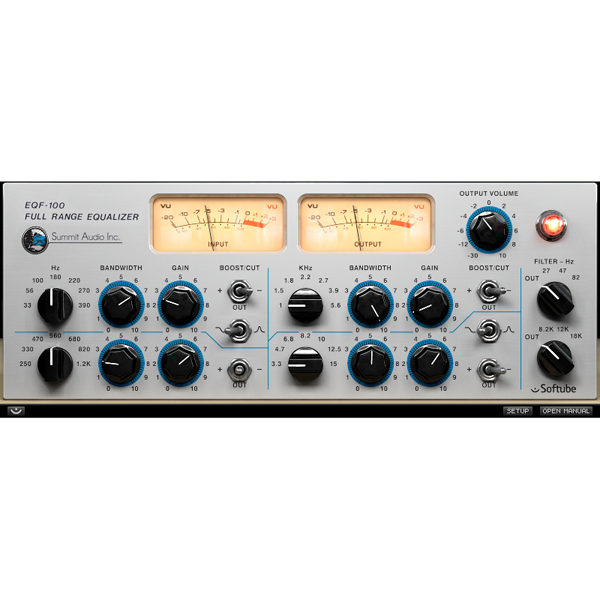 Add the final touch with the CL 1B compressor, versatile but with a distinct personality. Forget about precise and minute tweaks with 0.1 dB read-outs. The Classic Channel is about the good sound, and the way to get there is easy. Just turn the knobs and you'll see. 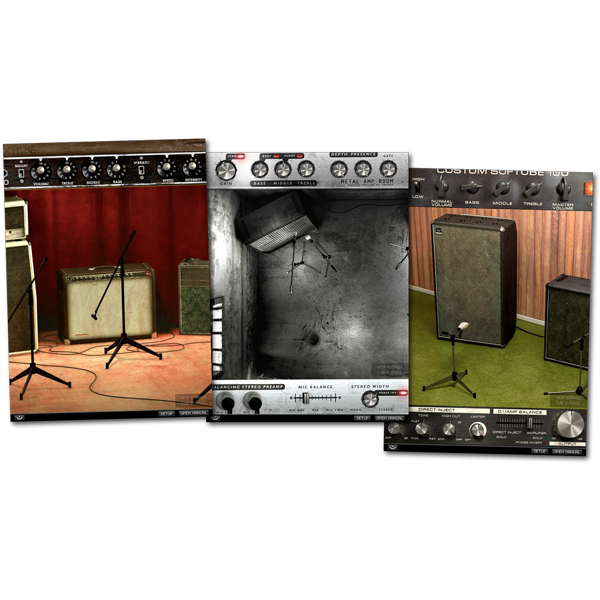 Combining the three units in a single plug-in makes adjustments easier, as you will often find that the compressor affects the equalizers and vice versa. By default, the sound passes the equalizers before the compressor, but you can easily put the compressor first with a single switch. Place the equalizers first and the compressor last or vice versa. Two EQs and One Compressor. Easy user interface with four panels. Two equalizer units, one compressor and one bypass and routing panel. PE 1C "Pultec" EQ for the High and Low Frequencies. Use the famous Tube-Tech PE 1C "Pultec" Equalizer to set the highest and lowest frequencies. ME 1B Mid-Range EQ for Focus and Presence. 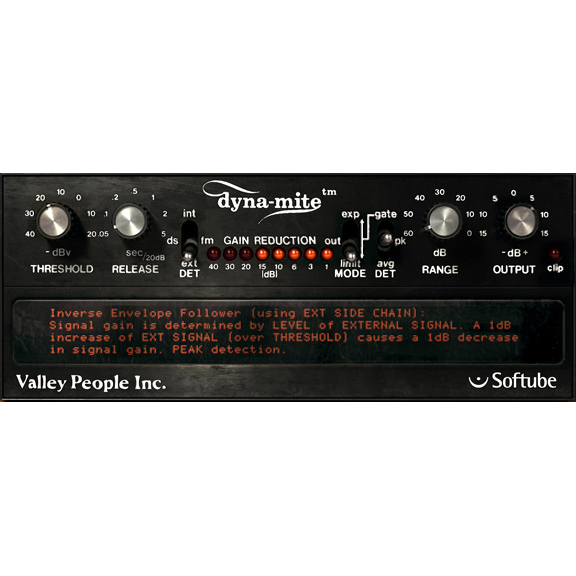 The Tube-Tech ME 1B Mid-Range Equalizer is a godsend for getting a modern and focused vocal sound or that extra bite in the guitar track. CL 1B Opto Compressor for that Extra Punch. 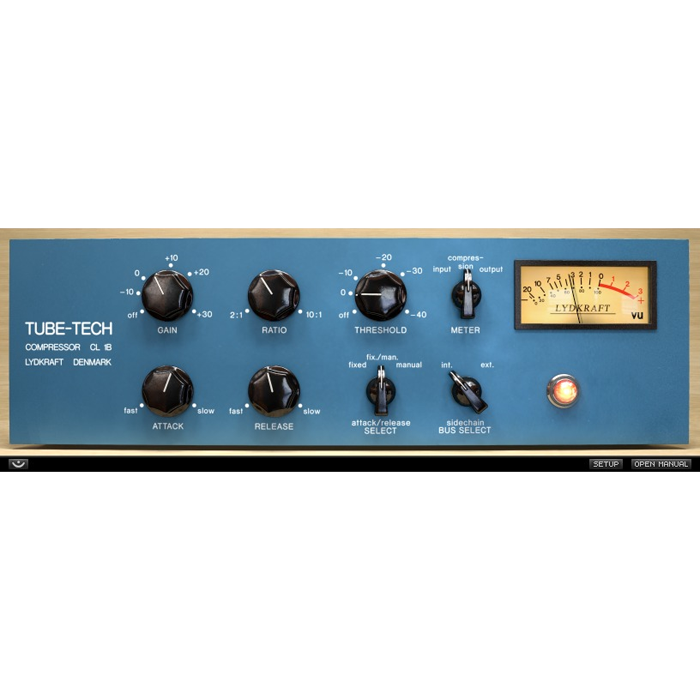 The Tube-Tech CL 1B Compressor is a true studio classic, used on everything from acoustic guitar and strings to rap vocals. Bypass and Routing Panel. Bypass any unit to save CPU. Route the EQ before the compressor (the old school way) or the other way around (modern). Developed together with Tube-Tech. As usual, we have had the help from the bright minds and sensitive ears of the Tube-Tech crew. 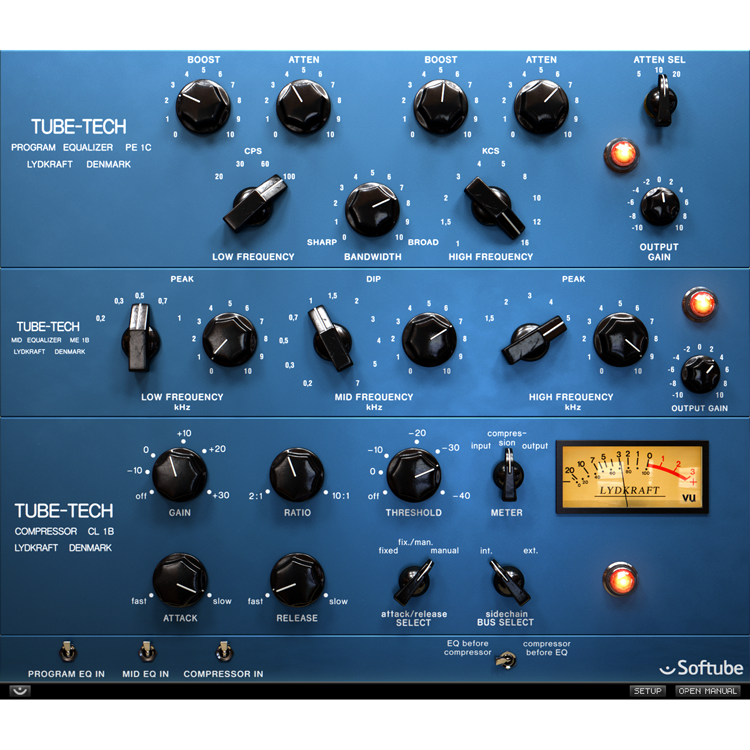 The original Tube-Tech Classic Channel is more than $8000 worth of hardware! A great inspiration and superb build quality!